I'm trying to make heads or tails of this report...having some trouble. How does one read this? If I look at start and end cadets, we lost 1 cadet on the books. We had 12 new cadets, which means we lost 13 cadets to non-renewal. But it shows 20 renewals, which should be 17, based on the 30 number initially? O-Flights - Yes is just mind boggling. I assume these are front seat flights, but why is there not a number there, like the backseat flights? P.S. 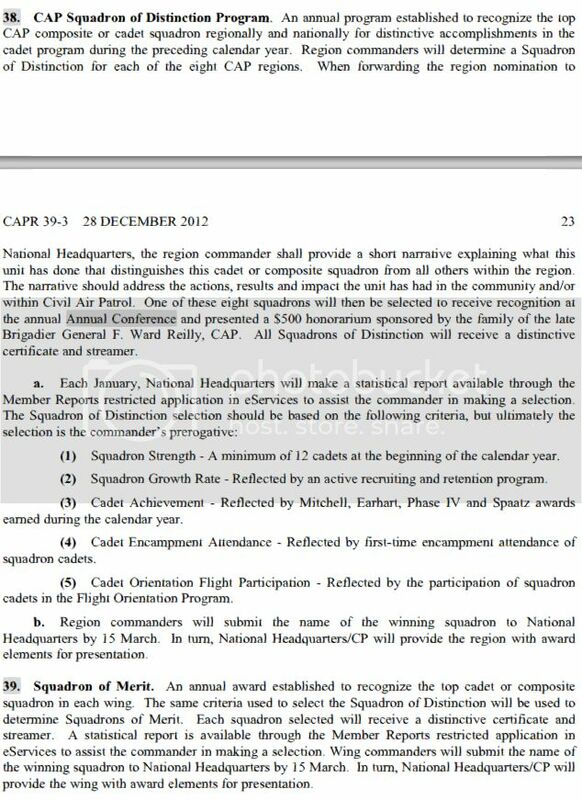 this completely explains to me why some units "clean out" their membership on the cadet side in January. Heh. And to NHQ, that's a net loss of only 1, so no big deal, right? But we all know CAP isn't for everyone, as much as it would be awesome to be at 42 as opposed to "flat". only looking at the top line numbers and ignoring the real state of the situation. But again, part of that churn is people who joined, and quit with the same month, at least on the "mental" level. 30 on the books right now, 13 less than a year in. One joined in September, and had already requested to leave due to "work/school/college prep". Another moved half way across country, not interested in NJWG. Is what it is. We also lost a few to college (7 left, 4 off our roster). Speaking of that...I bet transfers count as " non-renewal" . that member is still on the roster. What do they do with those? It makes sense to count as "non-renewal". Otherwise how long to do you "keep" them for the "stats"? 1 year? Their whole membership? That said, if they reported non-renewals as opposed to renewals, that would solve the issue. Got my hands on more unit data...20 start, 20 end, 6 new, 9 renewed? How does that work? being a roll-up award to Region and NHQ.. I always thought that at least our wing had a published (or not so much) standard that is used, but it seems to be anecdotal in its application. What I don't get is if the SoM leads to the SoD and Nat.SoD, why ISN'T it an objective standard with SOME Command discretion? If we're all doing the math differently, how does that pan out at Region? National? If we're all doing the math differently, how does that pan out at Region? National? The award is presented based on the whim of the approver, who may, or may not use or discount the SOM numbers at his discretion. Which is just another reason why, once I actually knew how this worked, I stopped caring about the SoM. Just about the only use I have for SoM and QCUA is the stats it keeps.